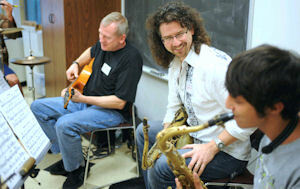 Jazz Band Masterclass fills a void that has existed in jazz education and the adult music community for years. “Where can I go to play in a band setting?” Sure, there is a community concert band down the road, and a big band at the local college, but a playing opportunity in a real jazz small group? Designed especially for adults? Nearby? Not so much. If you are looking for occasional lessons or a “drop in whenever” type playing opportunity, we are not for you. We love dabblers, but they are not our core. If you are looking to make real improvement in your playing, with a faculty that matches and pushes your level of commitment and desire, we are for you. Read our Core Values to see if Jazz Band Masterclass speaks to you and where you are in your life. Are you playing better than you were last year? Whether you are an adult amateur, a semi-pro, or even have a music degree, the question remains . . . are you playing better than you were last year at this time? How would it feel to raise your expectations of yourself and your music, and kick your dreams into high gear? And how about having the right support to do so - an organization with expertise and a proven track record, so you don’t have to figure it all out for yourself? Jazz Band Masterclass groups meet for two hours per session, twice a month, year round. Your sessions are guided by the sure hand of your faculty leader, an accepted master in both performance and education. You will learn new techniques every session, and experience the joy of true musical interaction and communication with other adults who love what you love - jazz and improvisation. You will play in public concerts each year, network with other adult jazz players, do some jam sessions, and much more. - Jazz Band Masterclass is a tuition based program. - We have convenient locations in Annapolis, MD and Washington DC. - We currently operate 15 different jazz small groups (30 sessions per month). - JBM groups play classic jazz ranging from swing to be-bop, samba to fusion to Afro-Cuban. - Groups are led by some of the top professors, authors, recording artists and performers in the Mid-Atlantic. Artistic Director Jeff Antoniuk, Leonardo Lucini, Steve Herberman and visiting Guest Artists. I’m already a good player. Is JBM for me? JAZZ BAND MASTERCLASS groups are for musicians who have studied privately or have some improvising experience. Each group is assembled with the aptitude and experience of its members in mind, from beginner/intermediate up to semi-pro. We take the time to find the perfect spot for you. Challenging and educational, but comfortable and fulfilling. 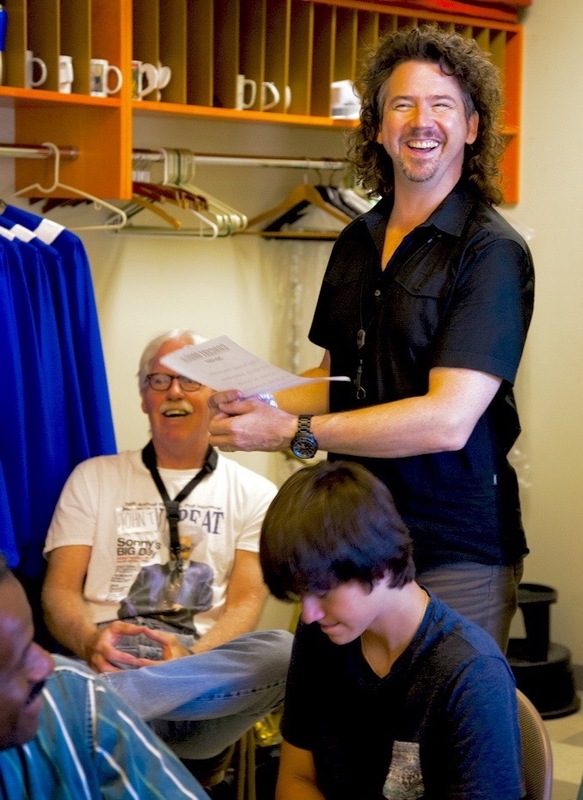 JBM AUDITION GROUPS are for more advanced level players, semi-pros, and music school grads. These exclusive groups require an audition, and operate at a high level of discourse and performance. Regular practice and commitment is not optional (! ), and personal improvement is a guarantee. These groups aim to develop a strong group identity. At this level, we are now in “direct competition” with our idols. As such, we’ll play numerous concerts, and record a CD each year. THE BRIDGE PROGRAM is for JBM students who have a deep drive and serious goals, such as joining an Audition Group, or getting out and playing in the gigging scene. 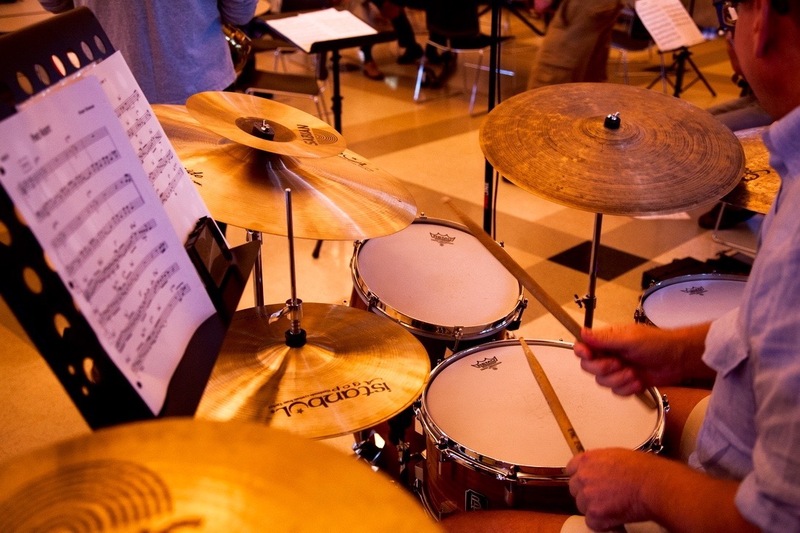 The Bridge Program works in conjunction with membership in a Jazz Band Masterclass group. The Bridge potentiates your JBM experience by connecting you and your faculty leader for individual, personalized work twice a month. This program is literally the Bridge between being a solid player, and being a serious Artist. Do you offer anything in addition to the group classes and bands? The center piece of every great music program is private study. We have revamped our approach to private lessons and coaching, focusing on what will give the students the greatest chance of success and achievement. PRIVATE COACHING is the classic way for an individual to take their playing to the next level. In our personalized, results-based approach, every student is given an individual, customized six month plan, and distinct steps to follow to get to those goals. 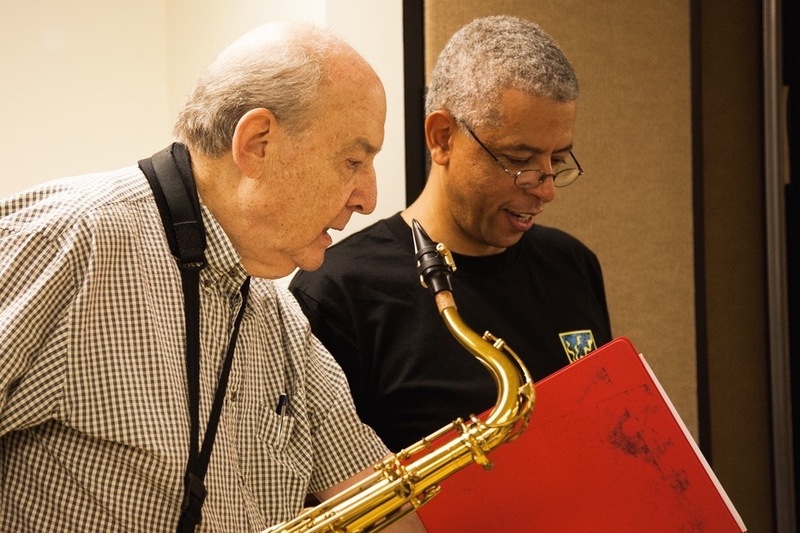 We offer private coaching to players at three different levels - “The Jazz Language,” “Advanced Concepts” and “Artist Level.” Prospective students are offered a free initial consultation, where they are placed in one of the three levels of lessons, and given a full written plan which will guide the period of study. Private coaching relies heavily on a two-way commitment between the student and the coach - when both parties are fully engaged, amazing things can happen. Contact us to talk about your personal story, where you are at in your musical life, and your goals and dreams. From there, we can begin creating a plan for your musical future with vision, wisdom and most importantly, concrete steps. Contact us via email, or call Jeff Antoniuk at 443-822-6483. See JBM concerts on YouTube! Start playing jazz in a JBM group today.